Scott Niven - Author: Here is the cover to my upcoming book, Midnight Fireflies! 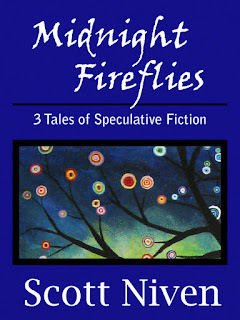 Here is the cover to my upcoming book, Midnight Fireflies! This cover's been ready to go since this past weekend, but I've been sick for the past three days so I'm just now getting around to posting it. What do you think? 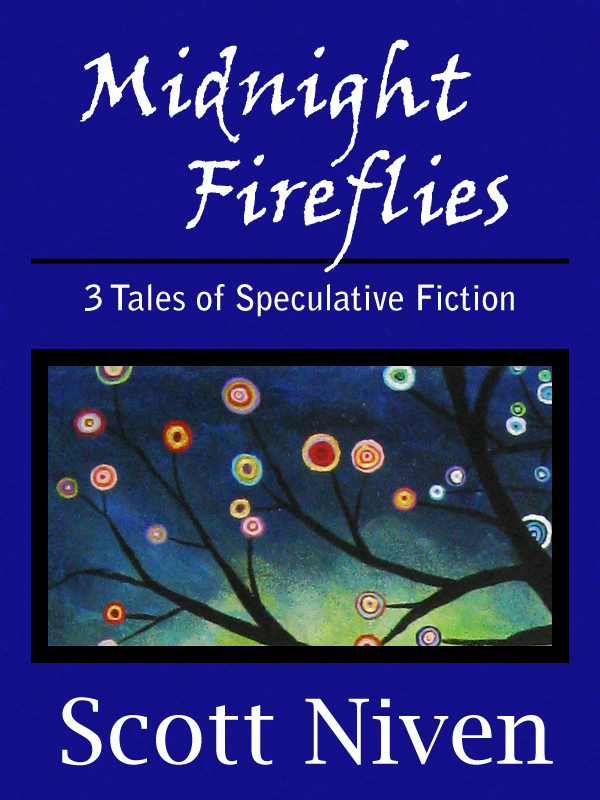 Midnight Fireflies will be the last of my short stories collections, at least for now. I'm currently working on a new project that will either be a novella or a novel, depending on how the word length plays out. It'll be my first long piece in years, so I'm excited and petrified at the same time. But enough of that. I also wanted to take this time to thank everyone who has bought my books. I'd also like to thank my Blog, Twitter, and Facebook followers. You have no idea how much it means to me that you're interested in what I've written. In the coming weeks, I'll be posting my Amazon Kindle template and my Barnes & Noble Nook template, along with some other random tidbits I've learned while plodding through this long but rewarding self-publishing process. So there's more good stuff on the way!